Daniel Berg is a scientist and educator. After obtained his Ph.D. from Yale in 1953, Daniel has been Technical Director of Westinghouse Electric, Dean and Provost at Carnegie Mellon University (CMU) and the fifteenth president of Rensselaer Polytechnic Institute (RPI). He currently is a Distinguished Research Professor of Engineering at the University of Miami, a member of the National Academy of Engineering, Life Fellow of the IEEE, a Fellow of INFORMS, and a Fellow of the American Association for the Advancement of Science. Richard Larson has devoted his MIT-based professional career to the service sector, now representing about 80 percent of the U.S. economy. Dr. Larson has made significant contributions, often with his students and colleagues, in both public and private sector services. His public-sector work includes urban emergency services (police, fire and emergency medical), public health (e.g., pandemic influenza, PTSD), technology-enabled education, postal services, urban sanitation, criminal justice, dynamics of the federally-funded doctoral research workforce, and disaster management. His private sector research includes industrial gas distribution, home energy management, and quality of customer service. He is considered an expert on queues or waiting lines, both the physics and psychology of queues. With physics, Dr. Larson is inventor of the Hypercube Queueing Model -- for deploying urban emergency services -- and the Queue Inference Engine, using ’big data’ to determine the performance of technology-enabled queues such as automatic teller machines. Regarding the psychology of queues, Dr. Larson – using his alter-ego identity as “Dr. Queue” -- has been covered extensively by national and international media. 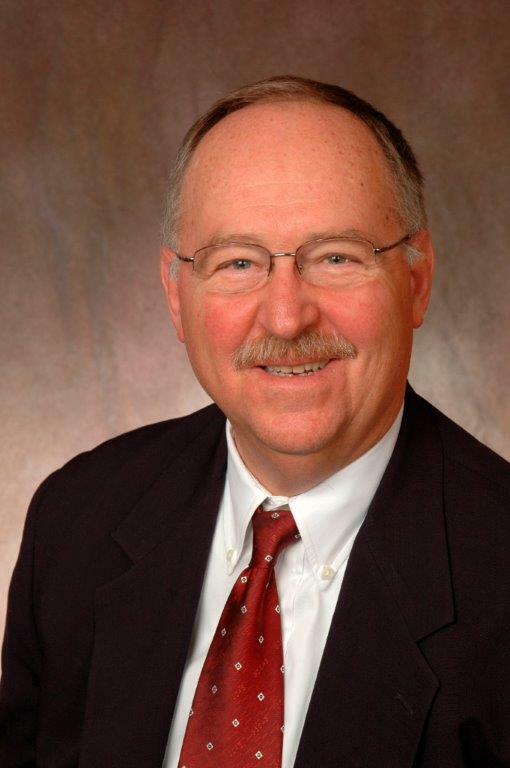 Dr. Larson is a Founding Fellow of INFORMS, Past President of the Operations Research Society of America (ORSA), Past President of INFORMS, and member of the U.S. National Academy of Engineering. His publications have won best-paper awards in three different academic fields. 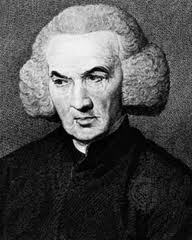 Richard Price (23 February 1723 – 19 April 1791) was a Welsh moral philosopher, nonconformist preacher and mathematician. He was also a political pamphleteer, active in radical, republican, and liberal causes such as the American Revolution. He was well-connected and fostered communication between a large number of people, including Founding Fathers of the United States. Price spent most of his adult life as minister in Newington Green. He also wrote on issues of demography and finance, and was a Fellow of the Royal Society. Dr. Raj Reddy is the Moza Bint Nasser University Professor of Computer Science and Robotics in the School of Computer Science at Carnegie Mellon University. He is one of the early pioneers of Artificial Intelligence, has served on the faculty of Stanford and Carnegie Mellon University for over 40 years and was the Founding Director of the Robotics Institute at CMU. Dr. Reddy received the ACM Turing Award in 1994 for his contributions to Artificial Intelligence. He was awarded the Legion of Honor by President Mitterrand of France in 1984 and Padma Bhushan by President of India in 2001. He was awarded the Okawa Prize in 2004, the Honda Prize in 2005, and the Vannevar Bush Award in 2006. He served as co-chair of the President's Information Technology Advisory Committee (PITAC) from 1999 to 2001. He has been awarded eleven honorary doctorates (Doctor Honoris Causa) including Universities of Henri-Poincare, New South Wales, Massachusetts, Warwick, and HKUST. Prof. P. Z. Wang is an academic leader in Fuzzy Sets, Factor Space theory and its applications in AI and DS in China and the world. He graduated (1957, B.S.) from, and worked, from assistant to professor, in Dept. of Math., Beijing Normal University (1957-1998). 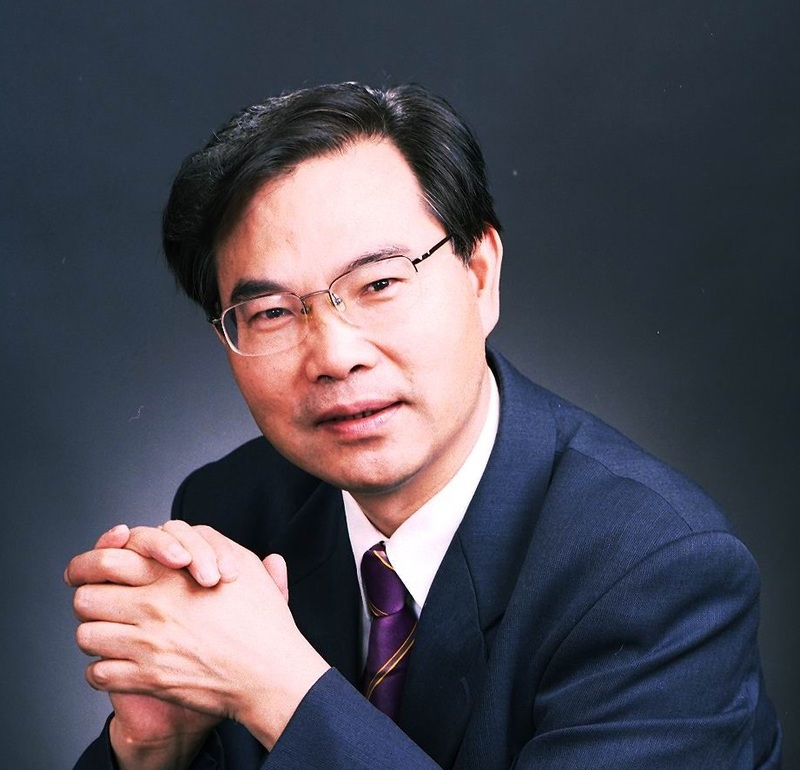 Prof. Wang was the Vice President of Chinese Fuzzy mathematics and System Association (1981-1990), and the Co-Chairman of the International Fuzzy Systems Association (1989-1993). He established the Falling Shadow Theory to build a serious mathematical basis for Evidence theory and Set-valued statistics methods in his book “Fuzzy Sets and Falling Shadow of Random Sets ”(1985). His Ph.D students manufactured second Fuzzy Inference Machine under his supervision (May,1988). Comparing with Yamakawa’s first one (July, 1987), Inference velocity from 10million/sec rises to 15million/sec. He was the chief of united project of Chinese Science Foundation “Fuzzy Information Processing and Fuzzy Computing” (consisting of 37 Universities and Institutes) (1998-1991). He organized the First Asian Fuzzy Engineering Symposium (AFSS) in Singapore (1993). He was members of editor boards of several Journals such as Information Technology and Decision Making, Sift Computing, Uncertainty, Fuzziness and Knowledge-based Systems; He was Editor of book series such as Advances in Fuzzy Systems: Theory and Applications. From 2012, Prof Wang has been serving as the director of Intelligent Engineering and Mathematics Institute, Liaoning Technical University and engaging to build fundamental theory for data science based on factor space. Philip S. Yu is a Distinguished Professor and the Wexler Chair in Information Technology at the Department of Computer Science, University of Illinois at Chicago. Before joining UIC, he was at the IBM Watson Research Center, where he built a world-renowned data mining and database department. He is a Fellow of the ACM and IEEE. Dr. Yu is the recipient of ACM SIGKDD 2016 Innovation Award for his influential research and scientific contributions on mining, fusion and anonymization of big data, the IEEE Computer Society’s 2013 Technical Achievement Award for “pioneering and fundamentally innovative contributions to the scalable indexing, querying, searching, mining and anonymization of big data”, and the Research Contributions Award from IEEE Intl. Conference on Data Mining (ICDM) in 2003 for his pioneering contributions to the field of data mining. He received the ICDM 2013 10-year Highest-Impact Paper Award, and the EDBT Test of Time Award (2014). He had received several IBM honors including 2 IBM Outstanding Innovation Awards, an Outstanding Technical Achievement Award, 2 Research Division Awards and the 94th plateau of Invention Achievement Awards. He was an IBM Master Inventor. Dr. Yu received his PhD from Stanford University. Dr. Yu has published more than 1,000 referred conference and journals papers cited more than 80,000 times with an H-index of 131. He has received more than 300 patents. 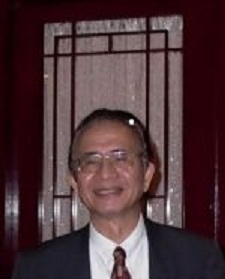 Zongben XU, received his PhD degree in Mathematics in 1987 from Xi`an Jiaotong University, China. In 1998, he was a postdoctoral Research Fellow in the Department of Mathematics, The University of Strathclyde. He worked as a Research Fellow in the Department of Computer Science and Engineering from 1992 to 1994, and 1996 to 1997, at The Chinese University of Hong Kong; a visiting professor in the University of Essex in 2001, and Napoli University in 2002. He has been with the School of Mathematics and Statistics, Xi`an Jiaotong University since 1982, where he served as a professor of mathematics and computer science, Dean of Sciences (1997-2003), VP of the university (2003-2014) and Chief Scientist of National Basic Research Program of China (973 Project). He is currently the director of National Lab for Big Data Analytics and Dean of Xi’an Academy of Big Data and Artificial Intelligence. Professor Xu makes several important services for government and professional societies currently, including Consultant member of National Big Data Development Commission, the New Generation AI Development Commission and the National Natural Science Foundation of China. He is VP of Industrial and Applied Mathematics Society of China (CSIAM), the director of Big Data and AI Committee of CSIAM. 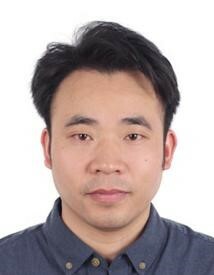 He is also the co- Editor-in-chief of Journal of Big Data Analytics and Textbooks Series on Data Science and Big Data Technology (Higher Education Press of China). 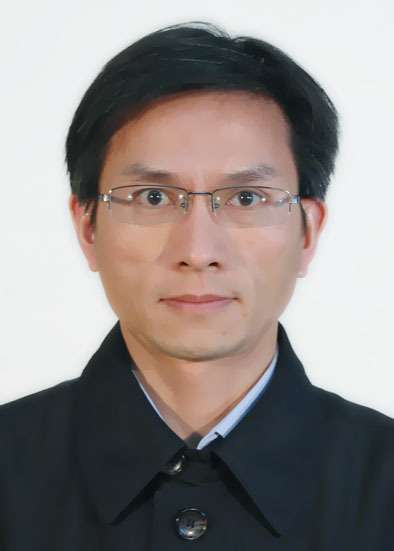 Professor Xu has published over 280 academic papers on nonlinear functional analysis, optimization, machine learning and big data resaerch, most of which are in international journals. His current research interests include mathematical theory and fundamental algorithms for big data Analysis, machine learning and data Science. Professor Xu has gotten many academic awards, say, the National Natural Science Award (2007), the National Scientific and Technological Advance Award (2011) of China，CSIAM Su Buchin Applied Mathematics Award (2008) and Tan Kah Kee Science Award ( in Information Technology Science, 2018) . He delivered a 45 minute talk at the International Congress of Mathematicians (ICM 2010) upon the invitation of the congress committee. He was elected as a member of Chinese Academy of Science in 2011. Walter Scott, Jr. has made significant contributions to the construction, mining, power generation and telecommunications industries. 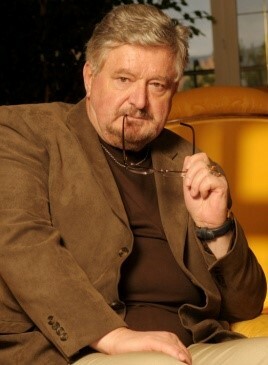 A highly successful business executive and internationally respected corporate leader, Scott serves as chairman of Level 3 Communications and chairman emeritus and a director of Peter Kiewit Sons’, Inc.
F. G. Filip (http://www.biblacad.ro/FlorinFilip.html) took his MSc and PhD degrees in control engineering from the T. U. "POLITEHNICA" of Bucharest, Romania, in 1970 and 1982, respectively. He has been with the National R&D Institute for Informatics (ICI) Bucharest since 1970. From 1971 to 1997, he was the managing director of the institute. He was elected as a member of the Romanian Academy (www.acad.ro)in 1991. He was elected as vice-president of the Academy in 2000 and re-elected in 2002, and 2006. In 2010, he was elected as the chair of the "Information Science and Technology" section of the Academy. In 2012, he became a founding member of the International Academy for IT and Quantitative Management (IAITQM). From 2002 to 2008, he was the chairman of the IFAC Technical Committee on "Large-Scale Complex Systems" (LSS). His main professional interests are the methodologies and applications of large-scale systems and computer aided decision-making. He is the author/co-author of seven monographs and over 200 journal articles and papers in various volumes, and the editor/co-editor of 21 contribution volumes. Shouyang Wang, Dean of School of Economics and Management, University of Chinese Acdemy of Sciences, received his BS degree from Zhongshan (Sun-Yat) University in 1982 and his MS and Ph.D. degrees from Institute of Systems Sciences, Chinese Academy of Sciences, in 1984 and 1986 respectively. During 1987-88, he was a postdoctoral research fellow at Delft University of Technology in the Netherlands. He was visiting professor of Delft University of Technology in 1992, visiting professor of Barcelona University and University of Santiago de Compostela in Spain in 1994, visiting professor of Konan University in Japan in 1995 and visiting professor of City University of Hong Kong in 1998 and 1999. He also served as a foreign professor of The University of Tsukuba in Japan in September, 2000 - February, 2001. He was selected as a chair professor of "100 talent Program of Chinese Academy of Sciences" in 1996. During May, 1997 - August, 2000, he was appointed as the executive deputy director of Department of Management Sciences, National Science Foundation of China. He was associate director of Laboratory of Management, Decision and Information Systems, Chinese Academy of Sciences in 1993-1997. He was appointed as the director of this laboratory in December, 2000. His research at present concentrates on Investment Analysis and Risk Management, Integrated Logistics, Game Theory and Conflict Analysis, and Multilevel Programming. 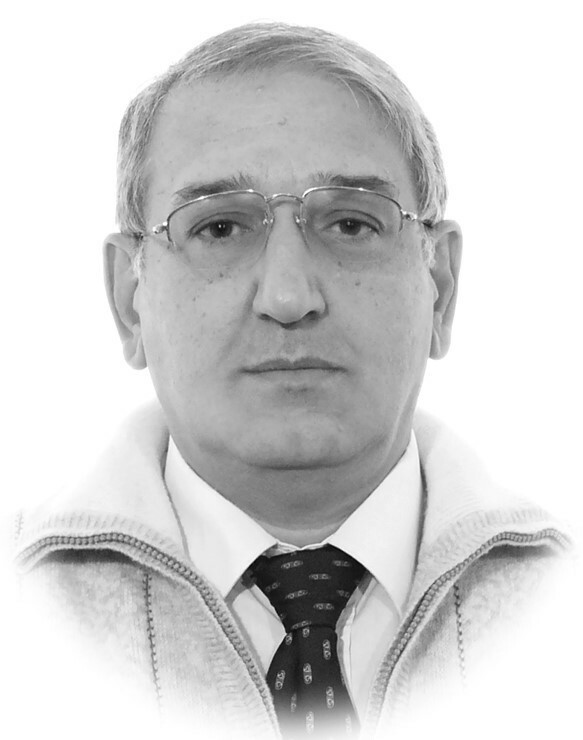 He has published over 100 journal articles in leading journals including Journal of Optimization Theory and Applications, Computers & Operations Research, European Journal of Operational Research, International Journal of Systems Science, Journal of Mathematical Analysis and Applications, Group Decision and Negotiations, Optimization, Annals of Operations Research, and Mathematical Methods of Operations Research. He is on the editorial boards of more than 10 journals, including Journal of Management Systems, Information Technology and Decision Making, Journal of Systems Science and Complexity, Journal of Management Science, and Journal of Systems Science and mathematical Sciences. He also served as the guest editor of an issue/volume of several journals including Annals of Operations research, and European Journal of Operational Research. James M. Tien has been a Distinguished Professor and the Dean of the College of Engineering at the University of Miami, Coral Gables, Florida (2007-2015). He received the BEE from Rensselaer Polytechnic Institute (RPI) and the SM, EE and PhD from the Massachusetts Institute of Technology (MIT). He has held leadership positions at Bell Telephone Laboratories, at the Rand Corporation, and at Structured Decisions Corporation (which he co-founded). He joined the Department of Electrical, Computer and Systems Engineering at RPI in 1977, became Acting Chair of the department, joined a unique interdisciplinary Department of Decision Sciences and Engineering Systems as its founding Chair, and twice served as the Acting Dean of Engineering. 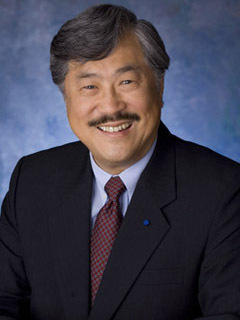 Dr. Tien has published extensively, been invited to present dozens of plenary lectures, and been honored with both teaching and research awards, including being elected a Fellow in IEEE, INFORMS and AAAS and being a recipient of the IEEE Joseph G. Wohl Outstanding Career Award, the IEEE Major Educational Innovation Award, the IEEE Norbert Wiener Award, the IEEE Richard M. Emberson Award, and the IBM Faculty Award. He received a Doctor of Engineering (honoris causa) from Canada’s University of Waterloo and is also an Honorary Professor at over a dozen non-U.S. universities. Dr. Tien is an elected member of the prestigious U. S. National Academy of Engineering. 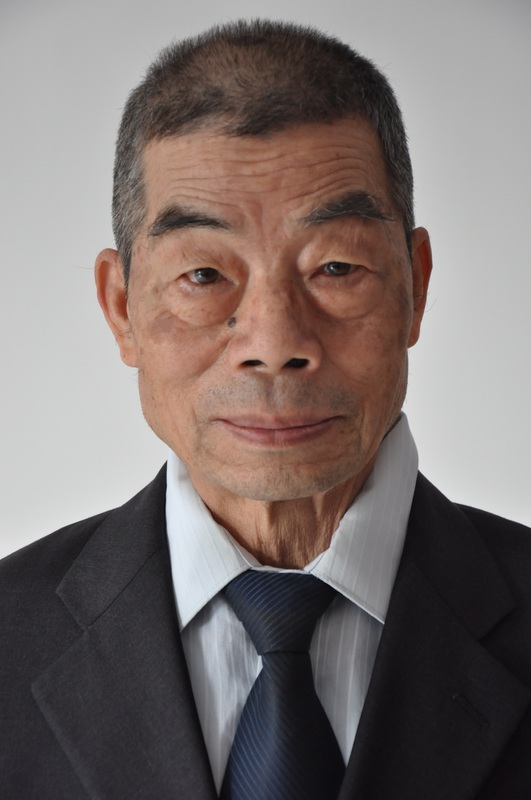 Jifa Gu, Professor, Academy of Mathematics and Systems Sciences, Chinese Academy of Sciences, Bachelor, Peking University (1957), PhD, Institute of Mathematics, USSR Academy of Sciences(1963), working in the fields of Operations Research and Systems Engineering. He published more than 30 books and 200 journal papers. He participated in practices on missile, energy, environment, water resource, regional strategy and various projects on evaluation. 1995 with Dr. Zhu ZC proposed Wuli-Shili-Renli system approach and got applications in many practical cases. In recent ten years he has engaged in the study and application of Meta-synthesis system approach and Knowledge Science He has participated in several national research programs related to social issues, digging experiences from TCM veteran doctors and study on the collective behaviors in Shanghai World Expo. He had been President of Systems Engineering Society of China, President of International Federation of System Research. Now he is academician and vice president of International Academy of System and Cybernetics Sciences, academician of Euro-Asia Academy of Sciences. Fuad Aleskerov is the head of Department of Mathematics for Economics, National Research University Higher School of Economics, the head of International Laboratory of Decision Analysis and Choice, National Research University Higher School of Economics and the head of Laboratory of Choice Theory and Decision Analysis, Russian Academy of Sciences, Institute of Control Sciences. He got the PhD degree in Control in Socio--Economic Systems at 1981. He has published 10 books, more than 200 articles, more than 100 in peer-reviewed journals and volumes. He is the member of The Society for Social Choice and Welfare (member of the Council, 2008-2013), International Economic Association (member of the Executive Council, 2011-2017), American Mathematical Society and New Economic Association, Russia. He also participated more than 70 conferences and workshops as the invited speaker. Ning Zhong is the founding editor-in-chief of Web Intelligence journal (IOS Press), the editor-in-chief of Brain Informatics journal (Springer Nature), the editor-in-chief of Brain Informatics & Health (BIH) book series (Springer Nature), and serves as associate editor/editorial board for several international journals and book series. Dr. Zhong is the co-founder and co-chair of Web Intelligence Consortium (WIC), chair of the IEEE Computational Intelligence Society Task Force on Brain Informatics, co-founder and steering committee co-chair of IEEE/WIC/ACM international conference on Web Intelligence (WI), and co-founder and steering committee co-chair of international conference on Brain Informatics (BI). Cheng Siwei (June 1935 – 12 July 2015) was a Chinese economist, chemical engineer and politician. He was the Chairman of China Soft Science Research Association; President of the Chinese Society for Management Modernization; Director of the Research Center on Fictitious Economy and Data Science, Chinese Academy of Sciences; Dean of the School of Management of the Graduate University of the Chinese Academy of Sciences and Honorary President of East China University of Science and Technology. He was also an Adjunct Professor and Doctoral Supervisor of institutions including the Chinese Academy of Sciences, Chinese Academy of Social Sciences, Guanghua School of Management of Peking University, and Nankai University. Cheng-Few Lee is a Distinguished Professor of Finance at Rutgers Business School, Rutgers University and was chairperson of the Department of Finance from 1988–1995. He has also served on the faculty of the University of Illinois (IBE Professor of Finance) and the University of Georgia. He has maintained academic and consulting ties in Taiwan, Hong Kong, China and the United States for the past three decades. He has been a consultant to many prominent groups including, the American Insurance Group, the World Bank, the United Nations and The Marmon Group Inc., Wintek Corporation and Polaris Financial Group, etc. Daniel Berg received his B.S. in Chemistry and Physics from the City College of New York (C.C.N.Y.) and his M.S. and Ph.D. in Physical Chemistry from Yale. He was employed by Westinghouse Electric in a variety of technical/managerial positions including Technical Director. He was Dean and Provost at Carnegie Mellon University (CMU) as well as Provost and President at Rensselaer Polytechnic Institute (RPI) and Institute Professor of Science and Technology. He is a Distinguished Research Professor of Engineering at the University of Miami. He is a Life Fellow of the Institute of Electrical and Electronic Engineers, a Fellow of INFORMS, and a Fellow of the American Association for the Advancement of Science. He is a member of the National Academy of Engineering. He serves as the American Editor of the "International Journal of Services Technology and Management". 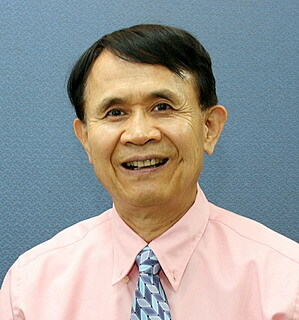 Po-Lung Yu is the Distinguished Professor (Emeritus) of University of Kansas (KU), Kansas, and Distinguished Professor for Life of National Chiao-Tung University (NCTU), Taiwan, was raised in Taiwan, further educated and trained in USA. He earned BA—International Trade (1963) from National Taiwan University, and Ph.D.—Operations Research and Industrial Engineering (1969) from the Johns Hopkins University. From 1977 to 2004, Dr. Yu held an endowed Chair as the Carl A. Scupin Distinguished Professor of the University of Kansas. He taught at NCTU from 1999 to 2011. Previously he taught at the University of Rochester (1969-73) and the University of Texas at Austin (1973-77). He won awards for outstanding research and for teaching. Dr. Yu, the initiator of habitual domains theory, competence set analysis and second order games, has published, in English and Chinese, 19 books and over 190 professional articles over multiple criteria decision making, mathematical programming, differential games and optimal control theory, and various application problems including investment models, efficient market, marketing, automobile safety and energy policy, corporate acquisition and merger analysis, aside from what he initiated. He is recognized as a remarkable thinker, scholar, teacher and advisor. He has given many keynote addresses around the world, academically and publicly. His audiences of habitual domains and related topics sometimes exceeded thousands of people. Dr. Fred Glover is an Emeritus professor at the University of Colorado at Boulder where he holds the title of Distinguished Professor in the School of Engineering and Applied Science and the Leeds School of Business. He serves as the Chief Technology Officer in charge of algorithmic design and strategic planning initiatives for OptTek Systems, Inc., in Boulder, Colorado. 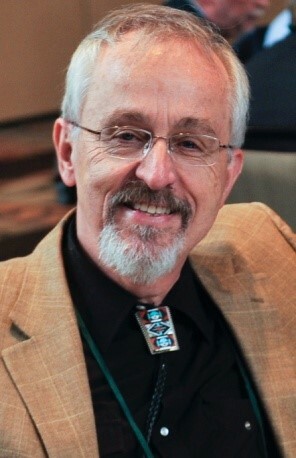 Dr. Glover is widely known for his work in the applications of computer decision support systems, including industrial planning, financial analysis, systems design, energy and natural resources planning, logistics, transportation and large-scale allocation models. He has authored or co-authored more than 470 published articles and eight books in the fields of mathematical optimization, computer science and artificial intelligence. Dr. Glover is the recipient of the highest honor of the Institute of Operations Research and Management Science, the von Neumann Theory Prize, and is an elected member of the National Academy of Engineering. He has also received numerous other awards and honorary fellowships from organizations around the world. Milan Zeleny is Professor (Emer.) of Management Systems at Fordham University. His previous appointments were at Columbia University, Univ. of So. Carolina, Copenhagen Sch. of Economics, European Inst. for Advanced Studies, and U. of Rochester. Major visiting appointments include Beijing, Xi′an, Tianjin, Taipei, Shanghai, Christchurch, Pretoria, Tokyo, Naples, Padua, Rome, Milan, Rio de Janeiro, Perth, Kanpur, Melbourne, Zlín, Turku, Helsinki, etc. He has become a global actor through his ZET – Foundation. Zeleny’s scientific interests have always been always multi- and trans-disciplinary. His most significant contributions are in the areas of multiple criteria decision making (MCDM), autopoiesis, fuzzy sets, artificial life, synthetic biology, multiobjective programming, games with multiple payoffs, De novo programming, conflict dissolution, Bata management system, tradeoffs-free economics, evolutionary economics, strategy as action, economic transformation and metamorphosis, etc. Naturally, his publications, although well above six hundred, are not rooted in traditional specialization, but in an ever-expanding array of interactions of mutually synergetic and merging areas of interest. Luiz F. Autran M. Gomes has a PhD degree from the University of California at Berkeley and an MSc from Michigan State University. He has been full professor of Management Science in the Ibmec School of Business and Economics, in Rio de Janeiro, since 2000. He has worked as a researcher, a teacher, an academic advisor, and a consultant in the field of Multi-Criteria Decision Analysis since the 70s. He has advised about 160 theses and dissertations dealing with MCDA mostly. He was president of the Brazilian Society of Operations Research (1999-2003). He is a member of the National Academy of Engineering (Brazil) and also of INFORMS. Herbert Simon Award is for Outstanding Contribution in International Journal of Information Technology and Decision Making (IJITDM). 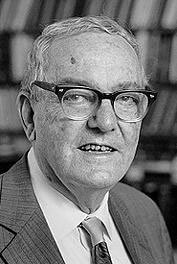 Herbert Alexander Simon (June 15, 1916 - February 9, 2001) was a great thinker and scholar. He received many honors, including the ACM's Turing Award (1975) and the Nobel Memorial Prize in Economics (1978). His works in artificial intelligence, information processing, decision-making, problem-solving, and complex systems have fundamentally been influencing research activities in Information Technology and Decision Making. World Scientific Publishing Co., Inc. sponsors the establishment of Herbert Simon Award for Outstanding Contribution in Information Technology and Decision Making with a cash prize of $500 to be given annually to the author(s) of the best paper published in IJITDM, which effective from 2011. To promote the journal as a flag journal in the field of Information Technology and Decision Making (ITDM), World Scientific Co. has proud to announce the establishment of the Herbert Simon Award for Outstanding Contribution in Information Technology and Decision Making to be given annually to the author(s) of the best paper published in journal of Information Technology and Decision Making (IJITDM) (effective from 2011). The recipient of the award will be selected by the Editor-in-Chief in consultation with the award committee formed by the members of the Editorial Board. After evaluating 30 candidate papers which published in IJITDM during 2002-2010, the award committee announces that the 2011 Herbert Simon Award for Outstanding Contribution in Information Technology and Decision Making is given to paper “THE POSSIBILITY OF GROUP WELFARE FUNCTIONS” by Thomas L. Saaty and Luis G. Vargas, International Journal of Information Technology & Decision Making, 2005, vol. 04, issue 02, pages 167-176. Warm congratulations to Prof. Thomas L. Saaty and Prof. Luis G. Vargas! Thomas Saaty, the co-recipient of the 2011 Herbert Simon Award for Outstanding Contribution in Information Technology and Decision Making, is Chair of Distinguished University Professor, Katz Graduate School of Business, University of Pittsburgh, Ph.D. Mathematics Yale University, member of the National Academy of Engineering. 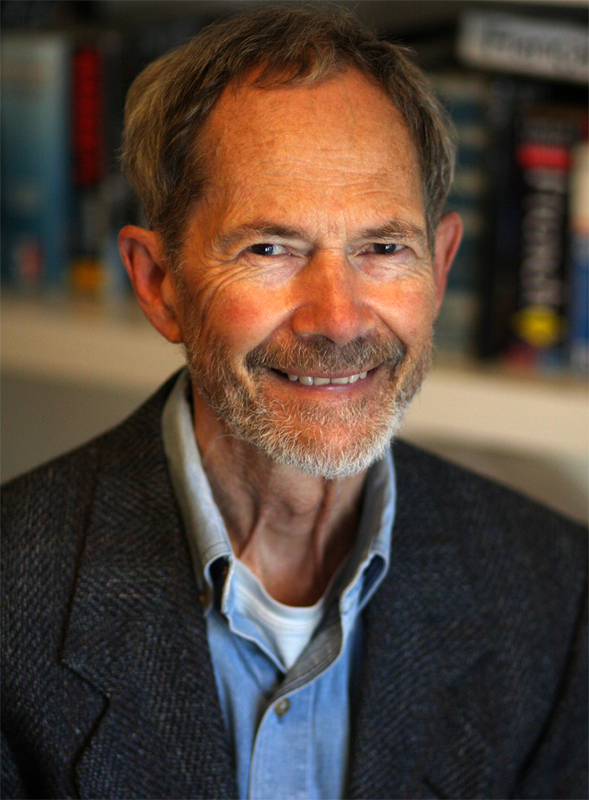 On October 2008, he was awarded the Impact Prize by INFORMS for his work on the Analytic Hierarchy Process. In 2000 he received the gold medal from the International Society for Multicriteria Decision Making. In 2011 he was awarded, in a ceremony with ancient roots, the Doktor Honoris Causa degree by Jagiellonian University in Krakow, Poland. In 1977 he received an award from the Institute of Management Sciences, College on the Practice of Management Science for his contributions and leadership in one of the best applied studies of the year: The Sudan Transport Plan. Previously, he was professor at the Wharton School, University of Pennsylvania. Before that he worked on nuclear arms reduction negotiations with the Soviets in Geneva at the Arms Control and Disarmament Agency in Department of State, in Washington. He developed the Analytic Hierarchy Process (AHP) for decision-making and its generalization to feedback, the Analytic Network Process (ANP). Published 43 books and more than 300 papers; latest books with Professor Kirti Peniwati, of Jakarta, Indonesia on Group Decision Making: Drawing out and Reconciling Differences: Problem Solving & Decision Making; The Brain: Unraveling the Mystery of How It Works; Creative Thinking and Problem Solving. He was awarded the L.R. Ford prize in mathematics for a comprehensive paper on a long standing unsolved problem in mathematics for over one hundred years “Thirteen Colorful Variations on Guthrie’s Four Color Conjecture” which later became the basis of a book called “The Four Color Problem” published by McGraw Hill, and now by Dover Publications. The problem was solved soon after by three people who collaborated to work our more than a thousand possible cases on the computer. He has been involved extensively in consulting on decision making with industries and governments. 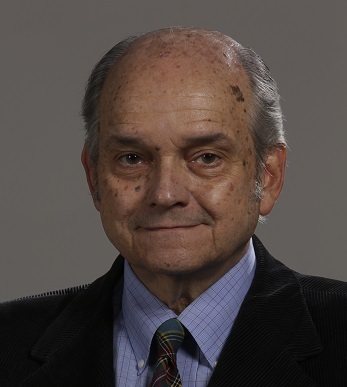 Luis Vargas, the co-recipient of the 2011 Herbert Simon Award for Outstanding Contribution in Information Technology and Decision Making, was also the recipient of the Juan March Foundation Scholarship, Madrid, Spain, to the University of Pennsylvania in 1976-78. 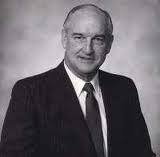 He won the Outstanding Professor of the Year Award in the Joseph M. Katz Graduate School of Business in 1984. 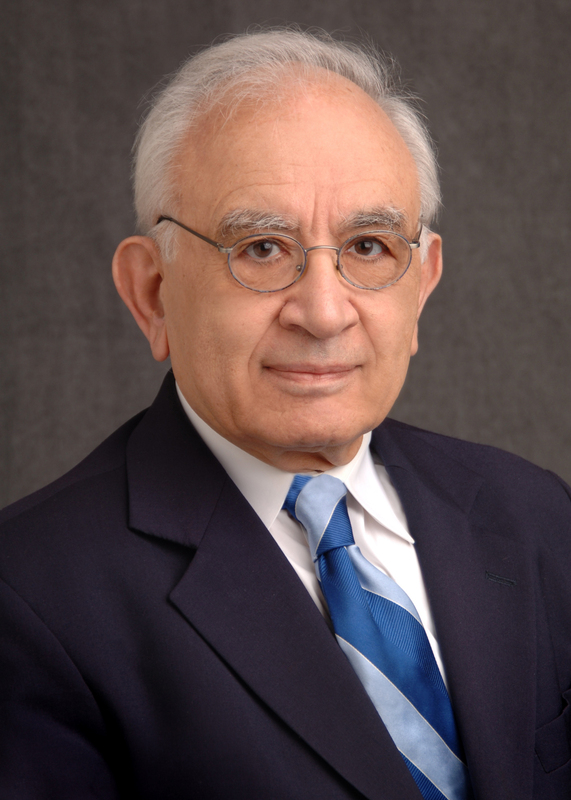 He was the coordinator of the Quantitative Interest Group from 1987 to 1991; the coordinator of the Artificial Intelligence Interest Group from 1991 to 1994; and chair of the Second International Symposium on the Analytic Hierarchy Process, held in Pittsburgh August 11-14, 1991, at the Joseph M. Katz Graduate School of Business. Area Director of Decision, Operations and Information Technology 2009-2012. Luis Vargas has focused his research on decision theory, practical applications of the Analytic Hierarchy Process (AHP), artificial intelligence in manufacturing, the use of artificial intelligence techniques for scheduling, measurement of resource utilization, group decision making, Bayesian networks, and forecasting. After evaluating 35 candidate papers which published in IJITDM during 2002-2011, the award committee announces that the 2012 Herbert Simon Award for Outstanding Contribution in Information Technology and Decision Making is given to paper “Agent-Oriented Metasynthetic Engineering for Decision Making” by Long-bin Cao and Ruwei Dai, International Journal of Information Technology & Decision Making, 2003, vol. 02, issue 02, pages 197-215. Warm congratulations to Prof. Ruwei Dai and Prof. Long-bin Cao! Ruwei Dai, born in Kunming, China, December 1932, is Professor and a Senior Research Fellow of the Institute of Automation, Chinese Academy of Sciences. Prof. Ruwei Dai started his undergraduate studies in 1951 at Tsinghua University and later received a B.S. degree in Mathematics Science from Peking University in 1955. After completing his studies, Prof. Dai joined the research group led by Dr. Tsien Qian as an Assistant Research Scientist at the Institute of Mechanics, Chinese Academy of Sciences. During the time, Prof. Dai translated Dr. Tsien Qian's classical work “Engineering Cybernetics", which was written in English, into Chinese. The Chinese version of the book was published in 1958. 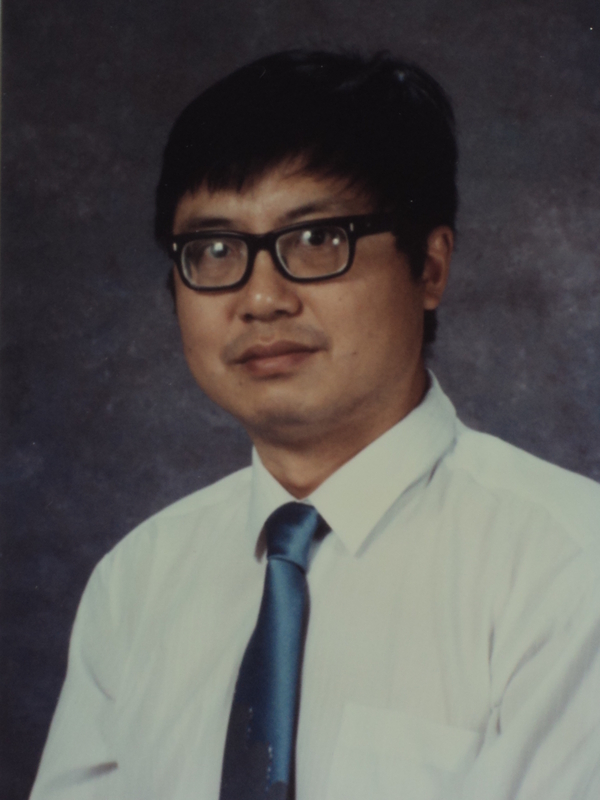 In 1980, as one of the few visiting scholars founded by the Chinese government for the first time, Prof. Dai began to work with Dr. King-Sun Fu’s Pattern Recognition group at Purdue University as a research fellow. Prof. Dai was elected member of Chinese Academy of Sciences in 1991 in recognition of his distinguished and continuing achievements in original research. Prof. Dai previously served as member of the Board of Directors of Chinese Academy of Sciences, Deputy Director of the Department of Information Science and Technology, and Board Member of Ethics Committee. Prof. Dai is best known for his many seminal contributions to the theory and implementation of Pattern Recognition, Automatic Control, System Sciences, Noetic Sciences, and Artificial Intelligence. He is the first person to introduce Pattern Recognition into China. He brought up with Semantic-Syntactic Pattern Recognition in early 70s, which paved the way of the development of the core technology of "Han Wang Hand Writing Recognition". In the early 90s, Prof. Dai pioneered in cross-disciplinary research and frontier knowledge integration by utilizing artificial intelligence technology. Prof. Dai has published numerous books and over 200 papers on varied topics in his research. For the past 40 years, he has supervised hundreds of Ph.D. and Master Degree students during their studies and researches. Most recently, Prof. Dai has served as the Chief Editor of "Pattern Recognition and Artificial Intelligence" and "Complex Systems and Complexity Science". Longbing Cao is a Professor of Information Technology at the University of Technology Sydney (UTS). He got one PhD in Intelligent Sciences and another in Computing Science. He is the Founding Director of Advanced Analytics Institute at UTS and a core member of the Data Sciences and Knowledge Discovery Lab at the Centre for Quantum Computation and Intelligent Systems at the Faculty of Engineering and IT, UTS. He is also the Research Leader of the Data Mining Program at the Australian Capital Markets Cooperative Research Centre, the Chair of IEEE Task Force on Behavior and Social Informatics and of IEEE Task Force on Educational Data Mining. He is a Senior Member of IEEE, SMC Society and Computer Society. He serves as associate editor and guest editor on many journals, as conference co-chair of PAKDD13 and ADMA13, and program co-chair or vice-chair of PAKDD, ICDM, IAT, ADMA etc., and program committee member on over 80 conferences including KDD, ICDM and AAMAS. He joined UTS in 2005 after he served as an editor, marketing strategist and then Chief Technical Officer in China. Longbing initiated and is leading research on behavior informatics, agent mining, multi-agent systems, domain driven data mining, and open complex intelligent systems. He is now working with around 30 team members including PhD students, research masters and fellows. Longbing created several special interest groups and IEEE Task Forces to promote the above research on behavior and social informatics, agent mining, domain driven data mining, financial data mining, social security data mining, and educational data mining. He has published 2 monographs, 4 edited books and 13 proceedings, 11 book chapters, and over 170 journal/conference publications including IJCAI, KDD, ICDE, ICDM, AAMAS and IEEE Transactions in the above areas. He has attracted research grants over AUD$6 millions in the last 7 years. After evaluating 50 candidate papers which published in IJITDM during 2002-2012, the award committee announces that the 2013 Herbert Simon Award for Outstanding Contribution in Information Technology and Decision Making is given to paper “New Optimization Models for Data Mining” by Fred W. Glover and Gary Kochenberger, International Journal of Information Technology & Decision Making, 2006, Vol. 05, Issue 04, pages 605-609. Warm congratulations to Prof. Fred W. Glover and Gary Kochenberger! 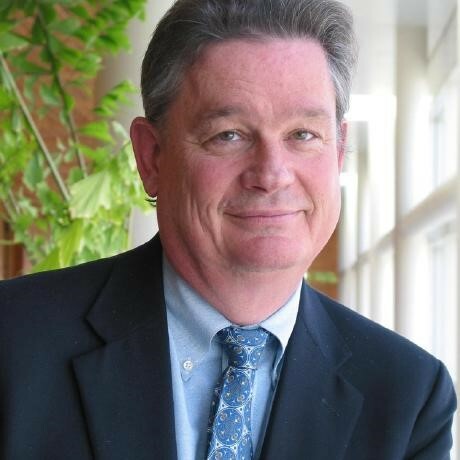 Dr. Gary A. Kochenberger is a professor of Business Analytics at the University of Colorado at Denver where he is a co-director of the Business Analytics graduate program. He is known for his research on applied optimization addressing important issues in combinatorial optimization, nonlinear programming, resource allocation, pattern classification, data mining, and related areas. He has co-authored three books and more than seventy refereed articles. Dr. Kochenberger has given invited presentations at national and international meetings in the U.S., Canada, China, Japan, and several venues in Europe. He has also served as principal investigator and supporting investigator on numerous grants. In addition to his academic work, Dr. Kochenberger serves as a Senior Consultant for OptTek Systems, Inc., engaged in research into practical applications of optimization and simulation applied to portfolio analysis, workforce planning, and a variety of other applications of operations research. After evaluating 350 candidate papers which published in IJITDM during 2002-2013, the award committee announces that the 2014 Herbert Simon Award for Outstanding Contribution in Information Technology and Decision Making is given to Paper “A Consensus Model for Group Decision Making Problems with Unbalanced Fuzzy Linguistic Information” by F. J. Cabrerizo, S. Alonso and E. Herrera-Viedma, International Journal of Information Technology & Decision Making, 2009, Vol. 08, Issue 01, pages 109-131. Warm congratulations to Prof. Herrera-Viedma, Cabrerizo and S. Alonso! After evaluating 350 candidate papers which published in IJITDM during 2002-2014, the award committee announces that the 2015 Herbert Simon Award for Outstanding Contribution in Information Technology and Decision Making is given to Paper “STRATEGIC AGENT BASED WEB SYSTEM DEVELOPMENT METHODOLOGY” by J. Lee and H. Lee, International Journal of Information Technology & Decision Making, 2008, Vol. 07, Issue 02, pages 309-337. Warm congratulations to Prof. Heeseok Lee and Jongwon Lee! 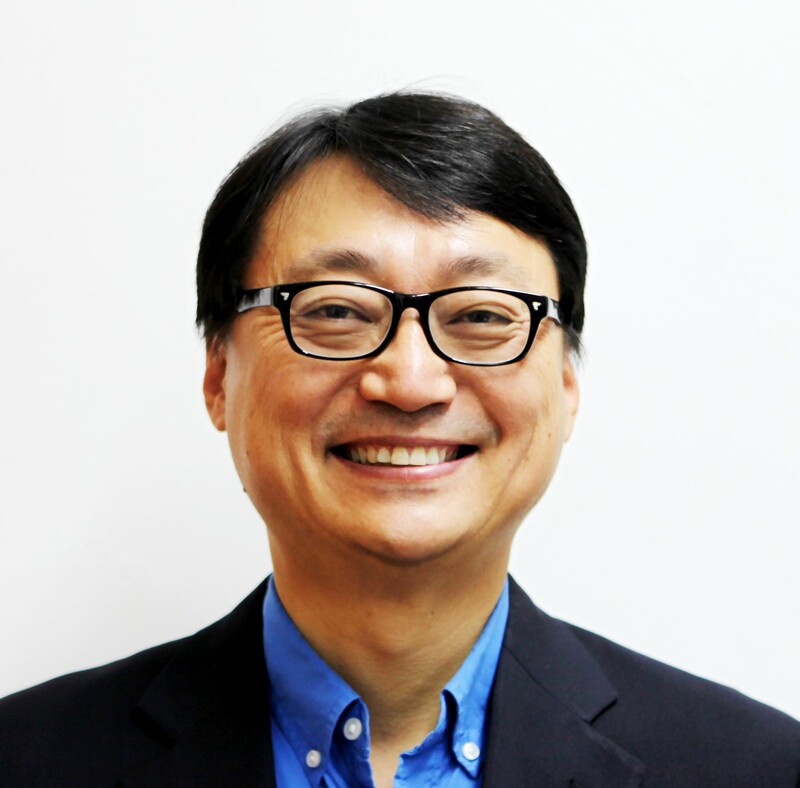 Heeseok Lee is the Dean of the Graduate School of Information and Media Management at KAIST (Korea Advanced Institute of Science and Technology), Seoul, Korea. Dr Lee has been the Director of Knowledge Management Research Center at KAIST and leads IT and Knowledge Management research. He has also served as the Chair of Executive Program for more than ten years at KAIST. He is a frequently invited speaker for a talk about strategic implication of IT for leading universities and communities. He earned BA in Industrial Engineering from Seoul National University, MS in Industrial Engineering from KAIST, and Ph.D. in Business Administration from the University of Arizona. Before joining KAIST, he taught at the University of Nebraska at Omaha. Dr Lee has published extensively in the areas of IT and Knowledge Management. His research papers have appeared in journals such as International Journal of Information Technology and Decision Making, Journal of Management Information Systems, Annals of Operations Research, European Journal of Operational Research, Information Systems, Management Information Systems Quarterly, etc. His recent research on IT impact on team innovation at knowledge-intensive firms was awarded the Best Research at HICSS 2014. He won numerous awards for outstanding research, teaching and service. He also won the National Honorary Award in his efforts for enhancing e-government. He was a conference chair of ITQM 2016. 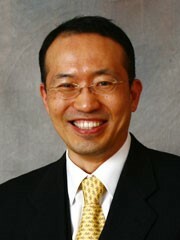 Jongwon Lee is a professor and the founding dean of the Graduate School of Management of Technology at Hoseo University. He was responsible for the initiation (starting in 2015), development and establishment (in 2016) of the Graduate School. He was a co-founder of Cyworld, one of the successful social media services in the world. He was a marketing director of Hanaro Telecom (now known as SK Broadband) which provided the world’s first successful ADSL service. He has many academic and practical experiences in commercialization of information technology. He also has experiences in advising big organizations such as Blue house (Presidential Secretariats in Korea), Ministry of Public Administration and Security, Ministry of Culture, Sports and Tourism, Ministry of Health and Human Services, Korea Telecom, and Posco. He has served as an associate editor for some journals and as conference organizing chair of ITQM 2016. His research is focused on finding customer requirement using information technology. He has attracted research and education grants over USD 3.6 millions in the last 5 years. Among 400 candidate papers which published in IJITDM during 2002-2016, the award committee announces that the 2016 Herbert Simon Award for Outstanding Contribution in Information Technology and Decision Making is given to Paper “A Descriptive Framework for The Field of Data Mining And Knowledge Discovery” by Ying Peng, Gang Kou, Yong Shi and Zhengxin Chen, International Journal of Information Technology & Decision Making, 2008, Vol. 7, Issue 4, 639-682. Warm congratulations to all four authors! Yi Peng received the B.S. degree in management information systems from Sichuan University, China, in 1997, and the M.S. degree in management information systems and the PhD degree in information technology from the University of Nebraska at Omaha, Omaha, NE, USA, in 2007. She was an Assistant Professor from 2007 to 2011, and Professor since 2011 with the School of Management and Economics, University of Electronic Science and Technology of China. Her current research interests include data mining, multiple criteria decision making, and data mining applications. 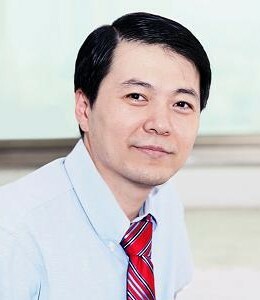 Prof. Yi Peng has been selected to the list of Highly Cited Researchers 2016 in the field of Computer Science published by Clarivate Analytics (formerly Thomson Reuters). Dr. Gang Kou is a Distinguished Professor of Chang Jiang Scholars Program and executive dean of School of Business Administration, Southwestern University of Finance and Economics, China, and managing editor of International Journal of Information Technology & Decision Making. Previously, he was a research scientist in Thomson Co., R&D. He received his Ph.D. in Information Technology from the College of Information Science & Technology, University of Nebraska at Omaha; got his Master degree in Department of Computer Science, University of Nebraska at Omaha; and B.S. degree in Department of Physics, Tsinghua University, Beijing, China. His research interests are in Data mining, Multiple Criteria Decision Making and Information management. He has published more than eighty papers in various peer-reviewed journals. Gang Kou is listed as the Highly Cited Researcher (Computer Science) by Clarivate Analytics (Web of Science). 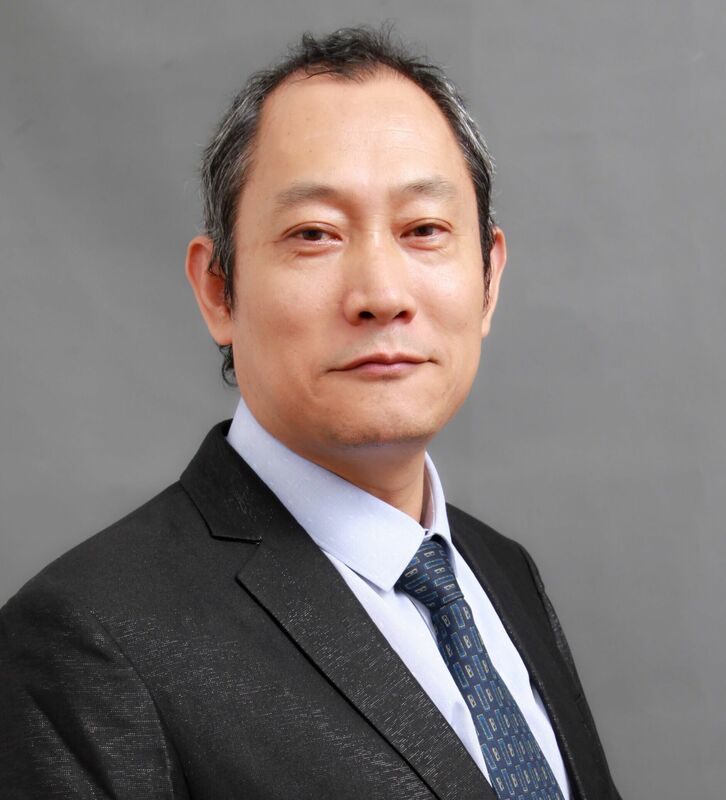 Yong Shi, serves as the Director of the Research Center on Fictitious Economy & Data Science, Chinese Academy of Sciences and the Director of the Key Lab of Big Data Mining and Knowledge Management, Chinese Academy of Sciences. He has been Union Pacific Chair of Information Science and Technology, University of Nebraska at Omaha, USA. 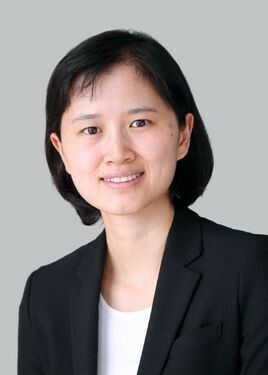 Dr. Shi's research interests include business intelligence, data mining, and multiple criteria decision making. He has published more than 23 books, over 300 papers in various journals and numerous conferences/proceedings papers. He is the Editor-in-Chief of International Journal of Information Technology and Decision Making (SCI), Editor-in-Chief of Annals of Data Science (Springer) and a member of Editorial Board for a number of academic journals. 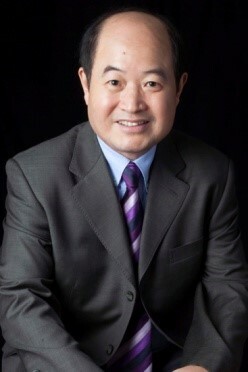 Dr. Shi has received many distinguished awards including the Georg Cantor Award of the International Society on Multiple Criteria Decision Making (MCDM), 2009; Fudan Prize of Distinguished Contribution in Management, Fudan Premium Fund of Management, China, 2009; Outstanding Young Scientist Award, National Natural Science Foundation of China, 2001; and Speaker of Distinguished Visitors Program (DVP) for 1997-2000, IEEE Computer Society. He has consulted or worked on business projects for a number of international companies in data mining and knowledge management. Dr. Zhengxin Chen is a professor at Department of Computer Science, College of Information Science and Technology, University of Nebraska at Omaha. He received his Ph.D. and M.S. degrees in Computer Science from Louisiana State University, and B.S. degree in Mathematics from East China Normal University. His research interests include data mining, database management, and intelligent information systems, and he has numerous publications in these and related research areas. Among 450 candidate papers which published in IJITDM during 2002-2016, the award committee announces that the 2017 Herbert Simon Award for Outstanding Contribution in Information Technology and Decision Making is given to Paper “A Hybrid Method for Pythagorean Fuzzy Multiple-Criteria Decision Making” by Shouzhen Zeng, Jianping Chen and Xingsen Li, International Journal of Information Technology & Decision Making, 2016, Vol. 15, Issue 2, 403-422. Warm congratulations to all four authors! Xingsen Li is graduated from School of Management, Graduate University of the Chinese Academy of Sciences and achieved his doctorate degree in management science and engineering in 2008. He has been the secretary-general of Extenics Specialized Committee, China Association of Artificial Intelligence. His research interests include Extenics, knowledge management and Intelligent innovation. He has published 4 books and more than 70 papers in various Chinese journals and international journals/conferences proceedings, including ITQM best paper and ESI highly cited paper. He wins natural science awards of Zhejiang province and teaching achievement prizes at Zhejiang University. Shouzhen Zeng is associated professor of Ningbo University, China. He received a PhD degree in statistics from Zhejiang Gongshang University in 2013. 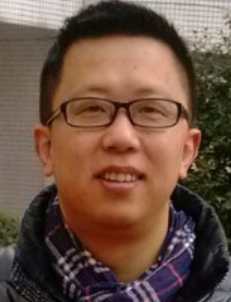 Until now he has published more than 40 papers in journals, books and conference proceedings, such as 《European Journal of Operational Research》,《Renewable and Sustainable Energy Reviews》,《Applied Mathematical Modelling》,《International Journal of Information Technology & Decision Making》,《Technological and Economic Development of Economy》,《Knowledge-Based Systems》 and 《Group Decision and Negotiation》. His main research fields are information fusion, intelligent computing, aggregation operators, decision making, supply chain management and uncertainty. Jianping Chen, Ph.D. in business administration in 2014, lecturer at the Business School , Ningbo Institute of Technology(NIT), Zhejiang University , China. He is the director of the Innovation and Entrepreneurship Research Center of NIT, committee member of Extenics Specialized Committee, China Association of Artificial Intelligence. His major includes of technological innovation, stakeholders and extension decision making.